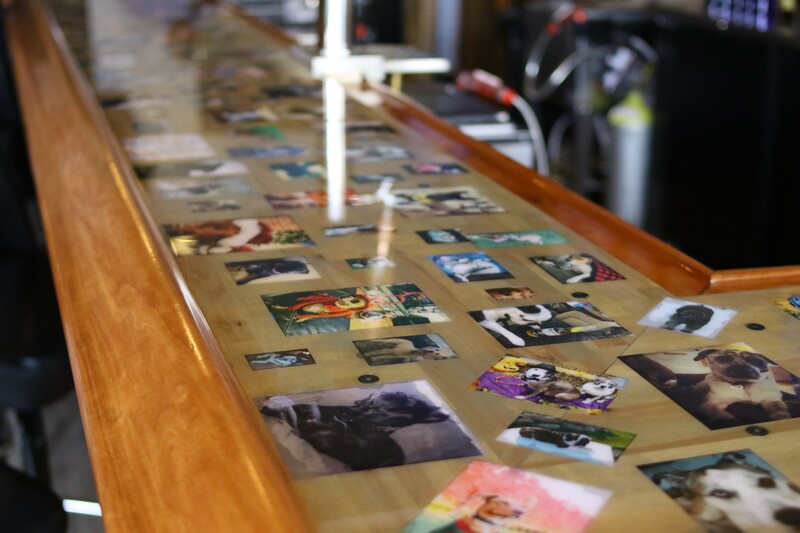 The bar is covered in photos of dogs sent in by customers. Since it is covered in resin, they are no longer accepting photos. 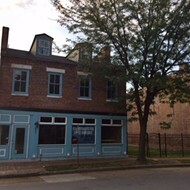 The Doghaus Soulard (1800 South 10th Street, 314-335-7183) opened Tuesday in the former Tropical Liqueurs location, offering a two-story restaurant and full bar with a back patio and dog park. You can bring your good boy or good girl to socialize with other humans and dogs, both inside and out. 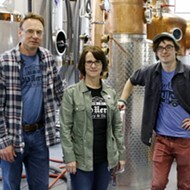 Co-owners Stephen Walters, Joe Schira, and Laurie and Kevin Simpson are animal lovers who are passionate about this business. Photos and artwork of the owners' dogs are on display throughout the building. And on the bar, you can see a host of neighborhood dogs, enshrined under a resin coat. Soko Phooey is among the bowls on offer at the Doghaus. 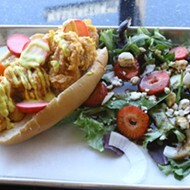 The DogHaus features food from Good Bowl by Mandy Estrella, better known as the Plantain Girl. Estrella preps the food off-site since the kitchen on the premises is so small. 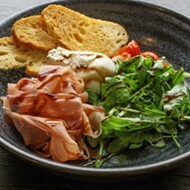 The food is inspired by some of her specialty Caribbean-style dishes at her restaurant Alphateria. Here, befitting the name, they're all served in a bowl. And each bowl is $12 or under. 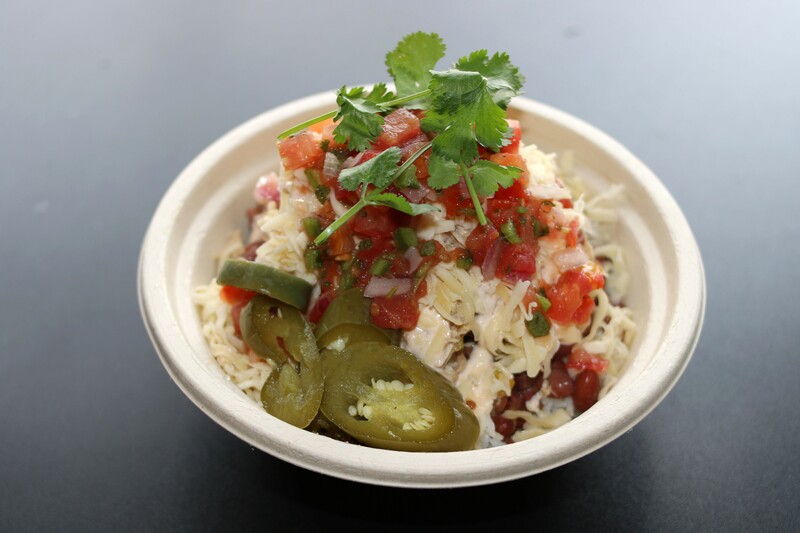 The names of the bowls are dog-themed, such as the "Blues Q's," which is tortilla chips topped with queso, mango barbecue, pico de gallo, black beans, house jalapenos and chipotle ranch, with the option of adding pork or chicken for an additional charge. 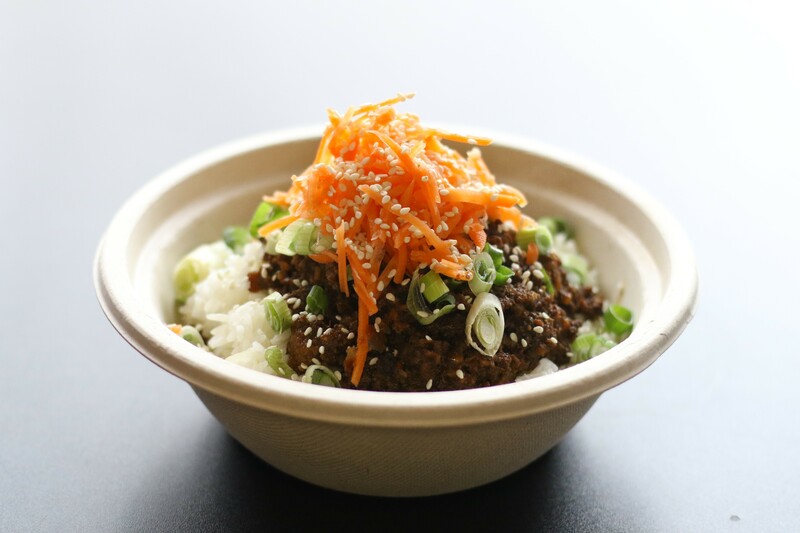 The "Soko Phooey," pictured above, consists of bulgogi-style beef, rice, pickled carrot, green onion and sesame seeds. As for "the Regulator," it's named for the song by Warren G featuring, yes, Nate Dogg. It offers citrus-braised chicken, red beans, rice, Chihuahua cheese, pico de gallo, chipotle cream and cilantro. Staffers like to play the song every time someone orders one. Perhaps as a result, it's proven the DogHaus' most popular dish. But if your dog joins you, they won't go hungry. 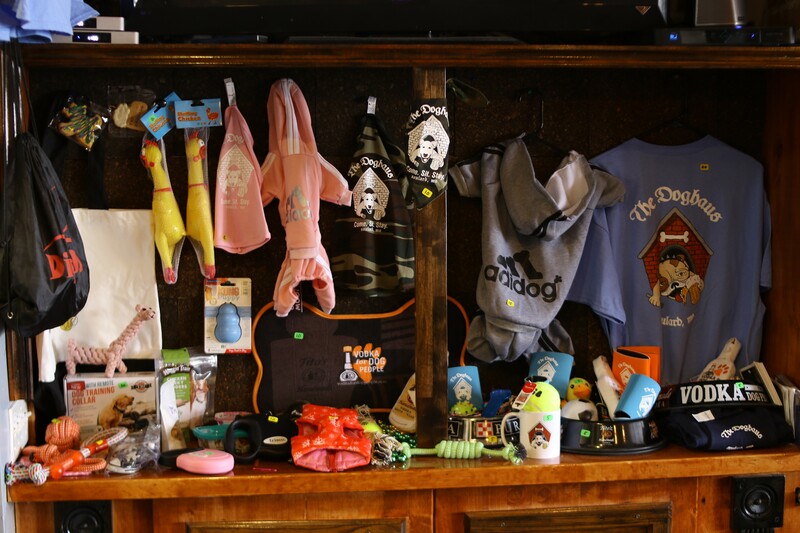 That's why Purina dog food and treats are also available for purchase, along with T-shirts and dog sweaters. When arriving with your on-leash dog, you must enter through the side gate on the back of the building. 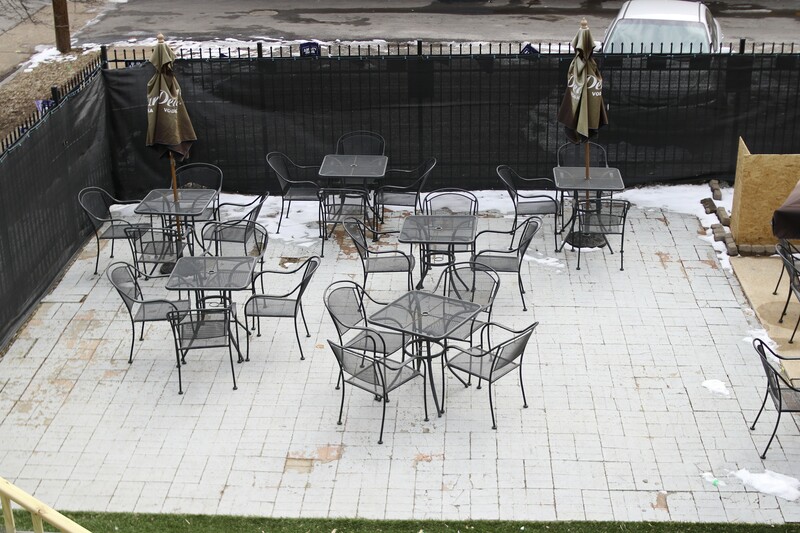 Leashed dogs are allowed in the patio area and the upstairs dining area. 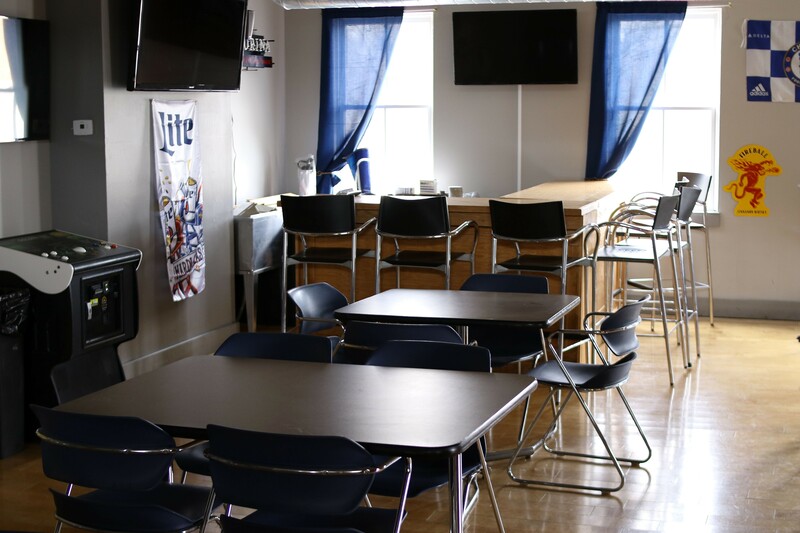 Due to food and alcohol being sold and served on the first floor, it is dog free. No membership is required for any of those areas. 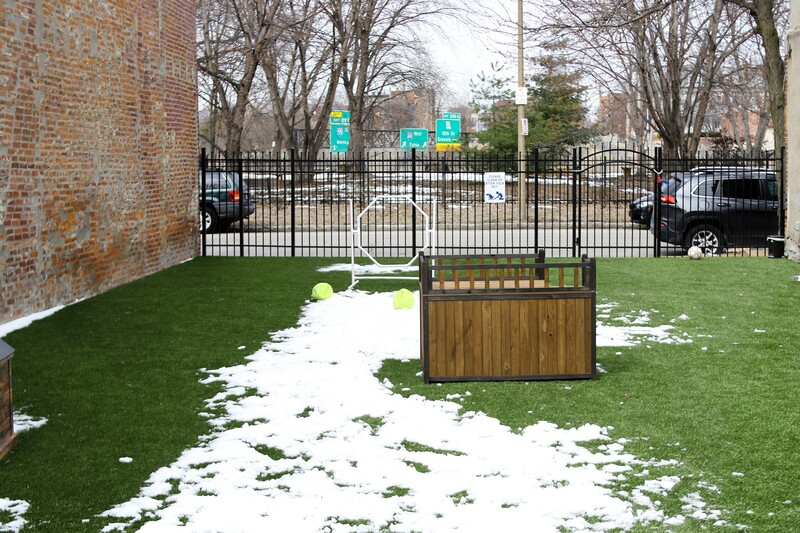 90-by-30-foot dog park located next to bulding. 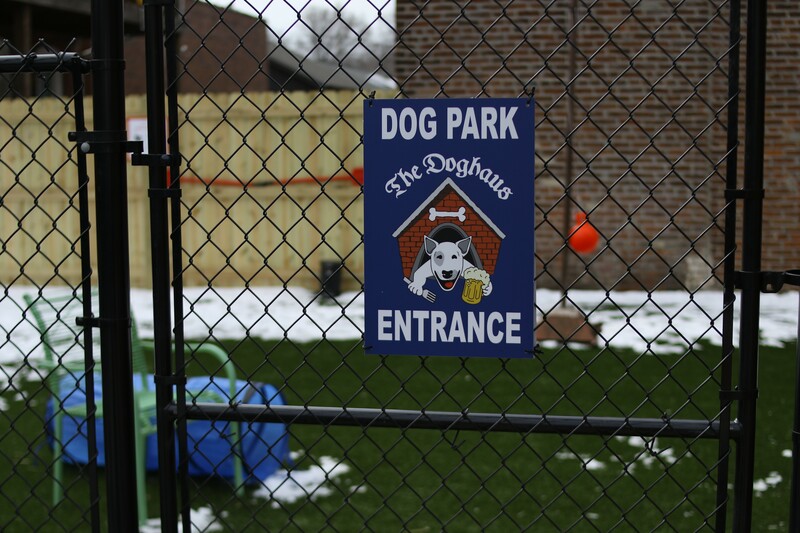 However, the business also incorporates a brand-new dog park. (That's in addition to the Frenchtown Dog Park, which sits across the street.) To access that off-leash area, you must become a member. It costs $40 per year and you'll need to provide proof of vaccination and shot records. Staffers can get you hooked up right on site. "We wanted to showcase something we are passionate about and allow people to socialize with each other and their animals," Walter says of the concept. "It feels good to see dogs have fun together and watch people get excited about it. Our vision came to life." Walters says that both Purina and Tito's have been a great help in supporting the DogHaus. And as for Estrella, she credits her life and business partner Bradley Payne, who she says has been instrumental in getting food service up and running. 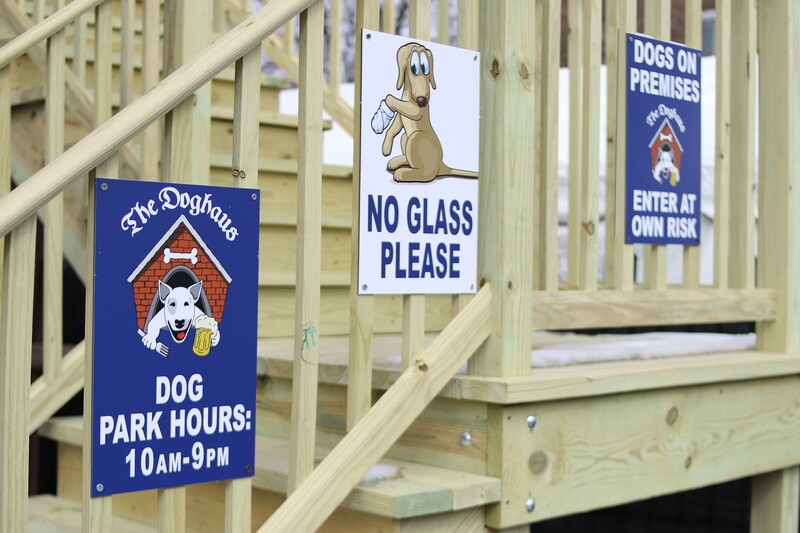 The DogHaus is open from 10:30 a.m to 1 a.m, Tuesday through Saturday and 10 a.m. to midnight on Sundays. The dog park is open until 9 p.m., during which time children are also welcome on site. In the upstairs area, dogs are welcome.